Ironmen defeats Icemen to claim there first Menehunes Invitational AA Championship! The main event of the tournament featured two Orange County Asian American Powerhouse Basketball teams: “ICEMEN” versus “IRONMEN”. In the 1st quarter you can get a feel that this was going to be a battle. The score was 13 to 12 Ironmen up 1 point. In the second quarter it was a hard fought one as Garrett James hit a 3 pointer from way out to beat the shot clock to give Ironmen a little lead. Icemen answered back with Brandon Lin drives to the basket but it was Garrett James hitting a floater to beat the buzzer to give Ironmen a 27 to 23 lead going into the half. In the 3rd quarter it was Ironmen defense that held Icemen to just 6 points as Ironmen seemed to be controlling the game. Icemen made there push in the 4th quarter in back of Jordan Young and Brandon Lin baskets but it was Ironmen who made clutch free throws down the stretch to pull off the victory and taking home the “HERBALIFE” Menehunes Invitational Championship Trophy. Icemen were led by Jordan Young (12 points and 3 rebounds) and Brandon Lin (12 points and 5 rebounds). The “Aloha” championship game featured two friendly rivals Orient Express versus Menehunes-Nakatani. Both teams played against each other numerous of times and it is always a battle for the ages. The game started off neck to neck as Menehunes-Nakatani took an 18-15 lead after the first quarter. In the 2nd quarter, Menehunes-Nakatani pushed their lead to 33 to 18 at the half lead by scoring machine Jarrod Carroll. 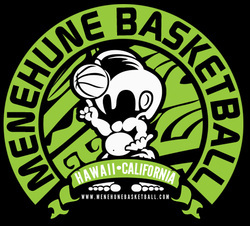 Orient Express made there run in the 3rd quarter outscoring the Menehunes-Nakatani 14 to 11 but in the 4th the Menehunes-Nakatani held off Orient Express by making free throws down the stretch to take a 57 to 46 victory for the “Aloha” Championship. Orient Express were led by Sam Kim (16 points and 8 rebounds) and John Yoon 11 points. Menehunes-Nakatani were led by Jarrod Carroll (24 points and 9 rebounds) and Jimmy Miyasaka (14 points and 4 rebounds and 4 assists). Game 2: “Lava Rock” Championship Game Box Scores and Game Summary. The “Lava Rock” Championship game featured the Sacramento Barons taking on Dirty Girls 4 Life. In the first quarter it looked like the Barons were in total control taking a 25 to 16 lead. Dirty Girls 4 Life struggled with just 5 players in the first quarter while Billy Nguyen made his way into the game towards the ending of the first quarter. The second quarter seemed no difference as the Barons still controlled the game and took a 45 to 31 lead into the half. In the 3rd quarter that’s when the momentum changed as Dirty Girls 4 Life locked down on defense and Andrew Quan started to heat up from the outside connecting on 2 out of his game high 5-3 pointers. Dirty Girls 4 Life outscored the Barons 18 to 7 in the 3rd quarter. Then the 4th went neck and neck as each team was making basket after basket but Dirty Girls 4 Life was up by two before they had a costly turnover with 14 seconds left. Barons was trying to score to tie the game but Dirty Girls 4 Life used their fouls to give and fouled the Barons with 1 second left to play in the 4th, Barons being down by 2 points. Barons Coach Rodney Kunisaki drew up a last second play and Collin Kono-Woo caught the ball in mid air hanging and making a tough shot at the buzzer going to the basket to send the game in to the over-time. In overtime it was almost the same situation with Dirty Girls 4 Life up by 2 with 8 seconds left as the Barons CJ Brown missed a runner at the buzzer. Dirty Girls 4 Life take on the “LAVA ROCK” Championship defeating Barons 74-72 in overtime. Barons were led by Collin Kono-Woo (20points and 4 rebounds), CJ Brown and Thomas Lopez both had 17 points. Dirty Girls 4 Life were led by Justin Santiago (23 points and 4 rebounds), Andrew Quan (19 points, hitting 5 3-pointers), and Billy Nguyen and Ryan Castro 14 points. “MANAPUA” Championship game box scores and game summary. In the “Manapua” Championship game, both team started off slow and was dead even at 31-31 at the half. It wasn’t then until the Saints started to click and make there push with Rohan Shetty and Nigel Madrid back to back 3 pointers in the 3rd quarter to give them a cushion lead going into the 4th quarter. In the 4th quarter the Fukien team ran out of gas while the Saints made there push and won the game 78 to 65 and being this years “Manapua” Champions! Fukien was led by Simon Lo (17 points and 12 rebounds), Kenny Ho 16 points, and Mike Lai (12 points and 12 rebounds). 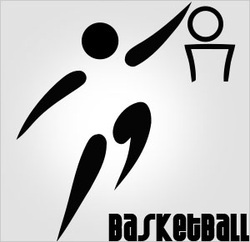 Another well known organization Fukien Basketball Association makes there debut in the Menehunes Invitational. They feature former BJ-League (professional Japanese league) basketball players Dae Han and Darin Maki. They go on a tour to play internationally every year and have some veterans on there team. Center, Mike Lai, a dominant big man, for Fukien will handle the paint, while ex Concordia University and current professional basketball standout, Larry Tieu will handle the back court. Fukien also has outside shooters like Alex Koo and Larry Wong. But don't turn your head on athletic Brian Shirman because he will fly in for a dunk. This should be a fun and exciting team to watch. The 2012 Menehunes Invitational runners up is back for another run. 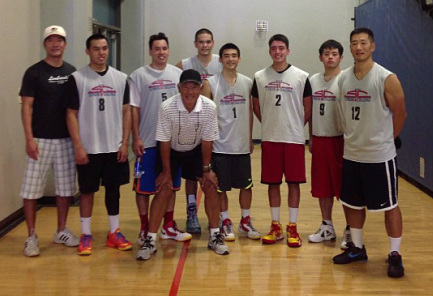 Icemen has possibly blossomed as the top Asian basketball team in Southern California. 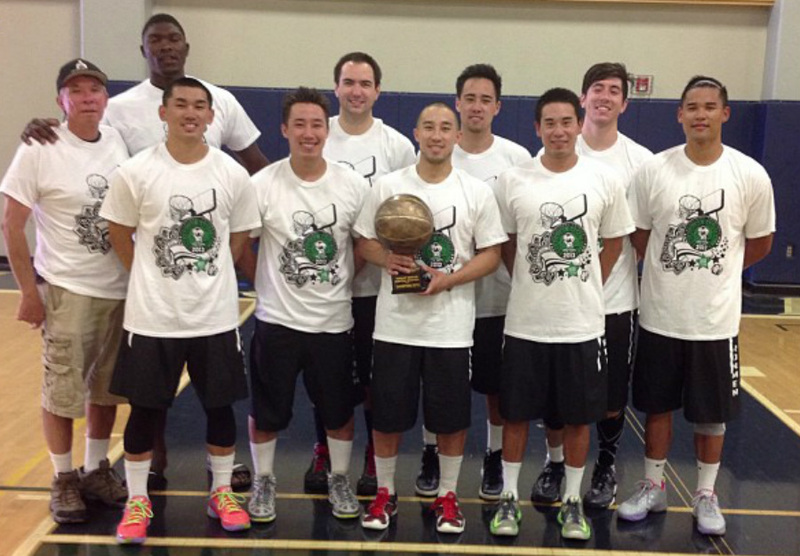 They recently defeated the top team in California, IRONMEN, in the Nesei Week Basketball Tournament to become the 2013 Nesei Champions. Icemen has one of the most talented rosters in the tournament. They have guards with high basketball IQ's, Chapman standout Taylor Hamasaki and ex-Chapman Brandon Lin, and solid versatile big men "The TWIN TOWERS" Chapman standouts Jordan and Justin Young. But who makes this team go is Coach Susan Hamasaki with Assistant Coaches Vince Hamasaki and Mark Nakano. They are the real deal folks! 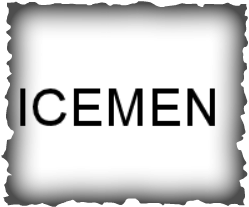 The ICEMEN are a young and exciting team to watch and will definitely be a team to reckon with! 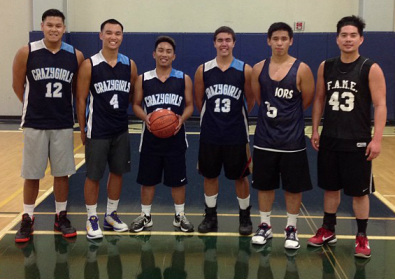 IRONMEN is one of the top 3 ranked teams in the country of Asian American Basketball. They have significant wins over other top ranked teams in the country. Ironmen is coached by Jesse James who runs the OCO Basketball leagues in Orange County. This crop of young, physical, athletic, skilled, and talented team is one to be reckoned with at any level. The heart of this team is Garrett James, who is the founder of IRONMEN. Garrett is a natural leader on and off the court who has a high basketball IQ. He makes all his teammates better out there on the court while controlling the temple of the game. 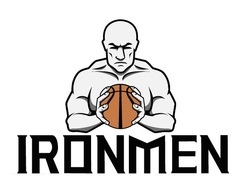 IRONMEN is the top California Asian American Basketball Club team in the last poll as well as one of the nations best Asian American Basketball team in America. IRONMEN has the #1 seed in this years tournament. Making there way from Northern California the Sacramento Barons are one of the top Asian American Basketball Organizations in California. Coach Rodney Kunisaki does a great job on running this team in various tournaments and leagues. They recently came in 5th place in the Tigers Tournament defeating teams like Taiwan Center and Icemen to win the consolation championship. They also came in 3rd place in there recent Sacramento Barons Tournament in May. They have size, shooters, and skill. Lets welcome the Barons to there first Menehunes Invitational Basketball Tournament appearance. The defending 2012 Menehunes Invitational champions, DG 4 Life has played every year that the tournament been going and has improved each year. The heart and sole of the team is Andrew Quan who started this team. 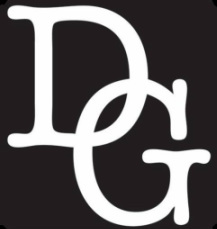 DG 4 life competed in various Asian tournaments and leagues around the area and has always been a team to beat. This fast paste 3 point shooting team is one of the most exciting teams to watch in the tournament. They return last years tournament MVP Billy Nguyen who is a very versatile player in the Asian Basketball world. Watch out for Dirty Girls 4 Life in this years tournament to make a run for the championship! Orient Express-2, another exciting team with a lot of veterans. They have a solid squad that has a lot of experience out there. They have a solid back court with point guard Suk Ahn, and 3-point specialist Justin Yun, who can catch fire anytime out there. They have versatile swing men like Sam and Brian Kim. Overall they are a solid squad that are ran by two veteran coaches Tony Jew and John Han. John Han is the president of the Korean North American Basketball Association, one of the most respected Asian American Basketball representatives out there. Look out for them to make a run at the title this year! A new team from Arizona, the "SAINTS" are making a name for themselves. There first major tournament was the 2013 Tigers Tournament where they were a unknown team who nobody heard about. But boy did they make there mark on the opening day buy taking down a powerhouse Section Studios (2013 Korean Olympics Champs) in a comeback thriller. They are now known for there outside shooting and great teamwork. Captain Michael Chou is the floor general that makes this team go. 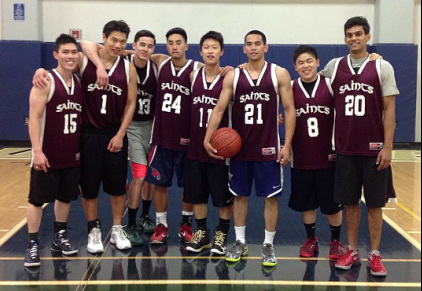 The "SAINTS" won various tournaments in Arizona State University where most of them met. They are traveling from HOT ARIZONA to Southern California for there debut in the Menehunes Invitational. They definitely define what the word "TEAM" is all about on and off the court. Look out for there deadly shooters from behind the arc. It will be an up tempo game that will be fun to watch. The Nakatani's will be the Menehunes for this tournament. This is a veteran bunch of guys. Nakatanis normally just play in NAU and LVI but are coming out to the Menehunes Invitational this year. They are the 2013 NAU Runners Up and was the 2012 LVI-Gold Runners Up. Captain Garrett Yanai done a good job organizing the team while legendary Coach Dave Yanai (CSU Dominguez Hills/CSU LA) helps keep this team in check out there on the court. This team features some of the Menehune players as well. Look out for the Nakatani's show there veteranship out there on the court.